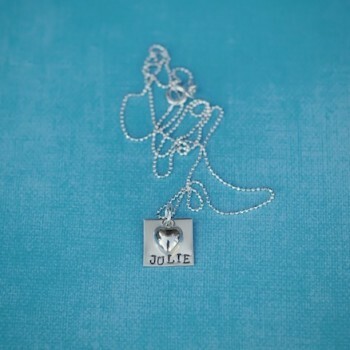 This necklace comes with 2 -Sterling silver 24g washers. 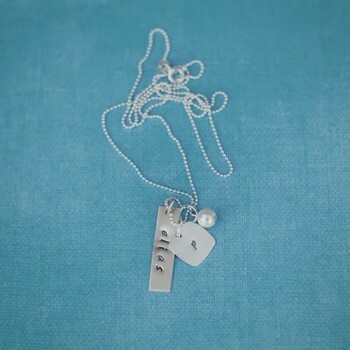 The smaller washer is 3/4″ and holds up to 20 letters/numbers. 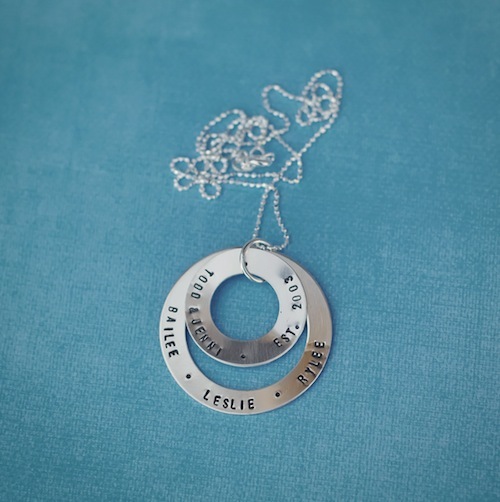 The larger washer is 1″ and holds up to 25 letters/numbers. 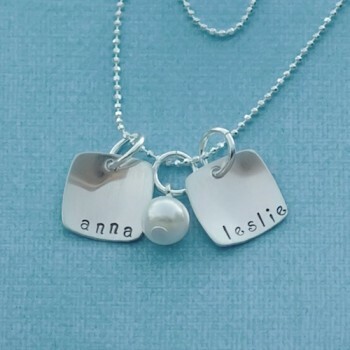 It is hung from a Sterling silver ball chain and your choice of birthstone/pearl. 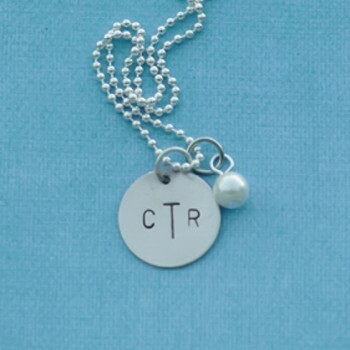 This is a great mother’s necklace.